Blue Fusion Digital is a world class Search Engine Optimization Company located in Agoura Hills, Ca. If anybody is not familiar with the Agoura Hills and Westlake Area, it is in Southern California in between Malibu and Ventura County. Not only does Agoura Hills have some tremendous geographical advantages such as being able to have your toes in the sand on a beautiful Malibu beach within 20 minutes or playing golf on Lake Sherwood Country Club in 10 minutes but some of the biggest and best internet marketing companies in the world are located in Agoura Hills. In order to stand out as the best seo company in Agoura Hills you are really going to have to perform white hat seo services at a very high level. 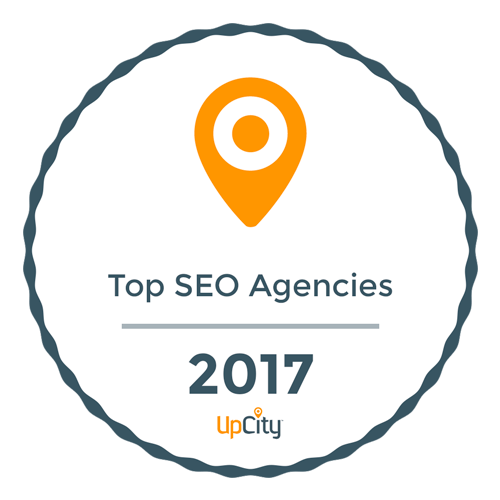 Thankfully, Blue Fusion Digital holds the #1 position for many organic keywords in the most competitive industry in the world, which is SEO companies. As the premier Internet Marketing Agency in Agoura Hills, we are happy to provide you with 5 free SEO tips for small and medium sized businesses in Agoura Hills, CA. 1.) Implement Google Analytics and Google Webmaster Tools. Google provides many free resources to better manage your internet marketing campaigns and there is not two more important tools then Google Analytics (GA) and Google Webmaster Tools (GWT). These two tools work hand in hand together and will be your best source of tracking your internet marketing R.O.I. Whether you are doing organic SEO or paid search advertising, installing these two tools is an absolute must. Need help implementing the coding? Contact us for a free consultation. 2.) Make sure you create and optimize a “My Google Business page” – Almost every business owner and marketing executive has heard of Google+ but not every business has claimed there Google+ Local Business Profile My Google Business Page. To create this page is very simple and we actually have a help resource page regarding Local Search FAQ’s. Just create a free Google+ account and you can create a Business Page. the benefit of creating one of these pages is they offer local businesses an advantage in the organic search results. Google has a specific set of search results called the Google Local Listings that are only available for companies that have a business in the area that the search has taken place. Google determines the place of the search by the IP address of whoever is searching for a specific keyword. For example, if you were in Agoura Hills and searched for the term “auto glass repair” you would be shown a set of search results that only show businesses who service Agoura Hills. The other way these Google Local Listings can appear is if you manually search for a keyword plus a location such as SEO Company Agoura Hills. Since you added a specific geographic location in the keyword search, Google will attempt to find a set of search results in the Google Local Listings. 3.) Make sure you claim all of the popular online social media and business profiles. Small and Medium sized businesses need to establish there brand online and one of the easiest and best ways to accomplish online branding is by making sure you claim your customized domain on all of the social media profiles and business profiles available online. We see a scenario play out all too frequently when a company doesn’t claim these profiles and a rival competitor will claim them with there business name but then do things such as change the phone number, address and website to there own NAP, resulting in both inconsistencies to the search engines and potentially lost business from those individual directories. Plus, this is also building in online reputation management into your internet marketing. Talk about two birds with one stone ? 4.) Collect online reviews from your customers. Local businesses especially need too be extra proactive in collecting reviews from there customers. Once you collect 5 reviews on your Google My Business Page, you are eligible for an actual star rating to appear under your URL in the Google Local Listings. Surveys have shown that there is a direct correlation between Click Through Rate and a high star rating. In fact, 70% of people trust online reviews as much as a personal recommendation from a family member or friend. Make these reviews work for you! We are one of the only seo companies in Agoura Hills to offer a reviews management service, contact us to learn more! 5.) Write Great Content. Blue Fusion Digital is a white hat seo company which means we understand the importance of high quality content. Small businesses who can produce quality content will have a chance to build links from other local businesses and relevant searches because good content marketing is the foundation of white hat seo. If your content is good enough for people to enjoy reading, they are likely to share it on social media or on there blogs which gives you a great linking opportunity. Blue Fusion Digital is a seo company Agoura Hills, California and specializes in white hat SEO Services, Online Reputation Management Services, PPC Campaign Management, SEO Friendly Web Design and Local Search Engine Optimization. Please contact us for any internet marketing optimization questions.